Boston Shocker: Jason Wolfe To Exit Entercom, Boston. Twenty-two years ago, a then 24-year-old Jason Wolfe joined WEEI-AM, Boston’s first fulltime sports operation. As the greater-Boston native (Sharon, Massachusetts) writes today on his Facebook page, he “could not have been more excited” to work “on the blank canvas” he had in front of him. It was announced today that the vice president of programming and operations of Entercom, Boston sports WEEI AM & FM and talk WRKO is leaving the company. Entercom, Boston vice president/market manager Jeff Brown states that Wolfe not only “defined sports talk radio in Boston, but nationally as well,” adding, “There are very few people who have influenced an industry like Jason has. From his work with the Jimmy Fund [a charity that supports adult and pediatric cancer care/research at Boston’s Dana-Farber Cancer Institute] and the Red Sox‘s historic championship run to WRKO’s engagement with politics, Jason’s behind-the-scenes work has made an impact few people will ever understand.” Syracuse University alum Wolfe reflects that his involvement in WEEI’s growth “has been a tremendous honor. WEEI went from a single radio station to a regional sports network and added a world-class digital platform. Today, it is one of the biggest radio brands in any format, anywhere in the country.” Wolfe notes that four-time Marconi Award-winner WEEI was, “#1 for six straight years through the fall of 2008.” Boston’s competitive radio landscape changed four years ago though when CBS Radio introduced WBZ-FM as “The Sports Hub,” giving WEEI a strong head-to-head challenger. Changes have followed at WEEI, including the recent departure of longtime afternoon drive co-host Glenn Ordway. In the 22 years Wolfe spent at WEEI, he chronicles that, “The Red Sox won two World Series; the Patriots won three Super Bowls and went to two others; the Celtics won one championship and went to a second NBA Final; and the Bruins won a Stanley Cup and returned to the Final this season.” Regarding his farewell from Entercom, a graciously philosophical Wolfe acknowledges on Facebook that, “This is a business and companies are always looking ahead to decide what’s best for their future. Entercom has an obligation to do what is in [its] best interest. I respect and accept that. I am thankful to everyone at Entercom for all they have done to support me. I wish them all the best in the future. It’s now time for me to move on and begin the next chapter of my career.” Word regarding a successor to Wolfe is expected to be announced soon. TALKERS Magazine Set to Launch TalkersRadio on Tuesday September 10. 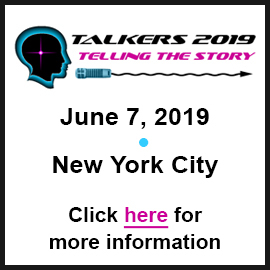 After several months of technical testing and initial talent scouting, TALKERS magazine announces that it will be officially launching its experimental online talk radio station initiative – TalkersRadio – on Tuesday September 10. TalkersRadio is a 24/7/365 streaming spoken-word internet radio station that will be available to listeners on the trade publication’s website, www.talkers.com as well as TuneIn and will feature a unique brand of stationality that, as publisher Michael Harrison describes, “views the world through the lens of the talk media industry and expresses a love of the art of the medium, its participants and its listeners for their own sake.” TalkersRadio’s mission will be to serve as 1) a laboratory for interesting new concepts and talent in talk; 2) a farm system to help develop deserving up-and-comers; 3) a real-time stage for talent to audition for specific jobs and opportunities; 4) a platform for “bridge shows” – a new device by which suddenly terminated AM/FM talk show hosts can do a series of final shows to say goodbye to their listeners and/or announce their upcoming plans within a radio show context; 5) a vehicle for “orphan shows” – programs that do not conveniently fit into prevailing AM/FM station format categories; 6) a showcase for new and adventurous programming concepts and ideas; and 7) a medium to exclusively broadcast TALKERS magazine live events. During the test period, TalkersRadio successfully broadcasted the entire Talkers New York 2013 live in June as well as “Talk Radio Day at the United Nations.” TalkersRadio will also carry several regularly scheduled programs to give it, as Harrison describes, “the feel and consistency” of a real radio station…. But Harrison adds, “It won’t get hung up on its lineup. These regularly scheduled shows will be more like ‘limited engagement’ runs of a show at a theater than forever-entities to which the station will be married and by which it will be defined.” Some of these will be talk shows about the industry but most will just be talk shows about life and its endless spectrum of topics in general. “The key,” according to Harrison, “is most of the programming will be of the types that are unavailable elsewhere…or at least YET unavailable. 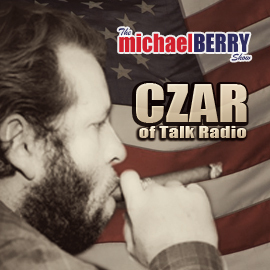 We most certainly want to get things rolling that will then go on to much bigger platforms in the business.” TalkersRadio has been in development for the past year and a half and is a joint project between TALKERS parent company Talk Media, Inc. and Westborough, Massachusetts-based communications firm Backbone Networks Corporation. It is featuring the leading-edge concept in broadcasting technology developed by Backbone (the system currently in place at the recently-launched Boston Herald Radio) that makes it extremely convenient and affordable for talk show hosts and organizations looking to “set up their own online sticks” to do a fully produced program – with live callers and guests – from an amazingly simple technical remote and portable set up. According to Harrison, “Our partners at Backbone are technical wizards. Having them power this operation gives us the flexibility and means to really make a significant contribution to talk radio as both a cultural art form and a 21st century-rooted business — the ongoing mission of TALKERS magazine.” Look for information about the initial programming set for TalkersRadio being posted on Talkers.com this week and next beginning with the following story. 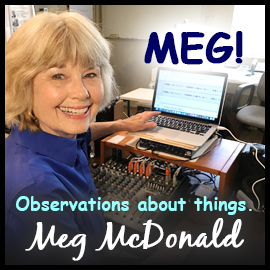 Noted Pop Music Producer and Talk Show Maverick Robbie Student Signs on to Host Midday Show on TalkersRadio. 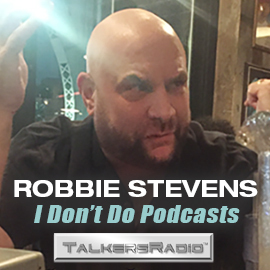 As TalkersRadio prepares its official launch on Tuesday September 10, the experimental internet talk station’s general manager David Bernstein announces the signing of emerging talk radio personality Robbie Student to serve as host of his own charter talk show on the station which will air live weekday afternoons between 1:00 pm and 3:00 pm ET. 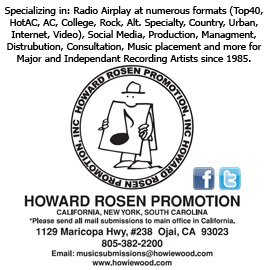 “Robbie Student” is the talk radio air name (although “Student” is his legitimate family name from an earlier generation) of noted record industry music producer and impresario Rob Stevens who, among his numerous credits, has executive produced (with Ms. Ono) all 10 of Yoko Ono’s recent number one hit singles in the burgeoning field of EDM (electronic dance music). Bernstein says, “In his ‘daytime’ gig as Rob Stevens, this amazingly interesting guy has worked with some of the biggest name artists in rock and pop including Red Hot Chili Peppers and other greats and brings a pop culture sensibility to news/talk radio with a level of comfort for which others have reached but few have grasped.” Frontier Fifty member Robbie Student came to the attention of Bernstein and TALKERS management last year while hosting a daily program on the fledgling internet stream of WOR, New York when it was still owned by Buckley Broadcasting. Bernstein says, “It was amazing – whenever this guy was on the WOR stream, the internet metrics took a huge jump. He consistently had more listeners online than some of the biggest players in AM/FM radio who were on at the same time. Things like that stand out. Most importantly, Robbie Student is just plain different. 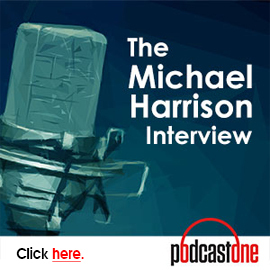 He brings a no-nonsense, everyman approach to the mic and talks with great intelligence and insight about everything from music, television and movies to independent politics, economics, parenting, education and psychology – all with an enlightening level of evolved consciousness. We are so pleased to let him run wild a couple of hours a day on this baby radio station and see where it goes.” Student has a degree in Philosophy from Columbia University and has done significant community work in his home-town New York City with youth basketball programs helping kids from diverse backgrounds reach their goals. 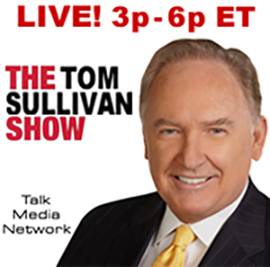 More new signings for TalkersRadio will be announced tomorrow and next week. For more information about TalkersRadio call 413-565-5413. 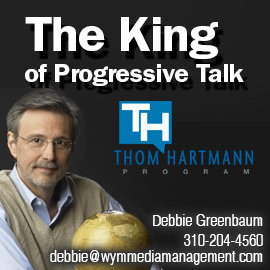 GM David Bernstein can be emailed at david@talkers.com. Courtside Entertainment Group’s PodcastOne Links Up With Abacast. The objective is to have Abacast‘s Clarity Digital Radio System place customized commercials for PodcastOne clients in specific markets. Among other things, the system provides campaign management, audience metrics and delivery for live and on-demand digital audio programming. Courtside Entertainment Group chairman/chief executive officer Norm Pattiz remarks, “This is another example of taking advantage of the latest technology to provide services that advertisers expect. This is consistent with our promise to have the best-targeted ad solution in an industry poised for rapid growth.” Abacast’s integrated service will be released in the fourth quarter and chief executive officer Rob Green notes that his company is, “making a commitment to podcasting by extending the Clarity Digital Radio System to the podcasting market. We couldn’t be happier to be chosen by PodcastOne.” Introduced this past February, audio-on-demand PodcastOne hosts roughly 200 podcasts by, among others, Dr. Drew Pinsky, Jay Mohr, Adam Carolla, Steve Austin, Penn Jillette, Dennis Miller, Laura Ingraham, and Tom Green. Norm Pattiz will be a featured speaker at the forthcoming Talkers Los Angeles 2013 set for Thursday October 10. The event, open only to members of the working media, is nearing a sellout. For more information or to register, call 413-565-5413. Sprint To Begin Installing NextRadio Application. It will transpire over the next few years and enables consumers to listen to local radio stations on their smartphones. Sprint‘s HTC One and HTC EVO 4G LTE models will be the first models with the app. NextRadio is Sprint’s smartphone app that delivers an interactive artist and ad experience to FM-enabled smartphones. Data for the application is supplied by TagStation, the cloud-based engine that offers stations the ability to upload branding images that display as default artwork in the NextRadio app, as well as call letters, format, station name, and slogan. Major and vocal proponent all along is Emmis chairman/chief executive officer Jeff Smulyan who declares the announcement is, “a credit to the entire radio industry, which has unified to make this happen. We set a new course as an industry, one that will bring exciting audience and advertiser engagement opportunities.” Emmis chief technology officer Paul Brenner is president of NextRadio, LLC and he explains that, “Whether the station is large market, medium market, small market, commercial or non-commercial, this free service will provide listeners with a visual radio listening experience. Radio stations no longer have to add the cost of internet streaming to get local FM radio on a mobile device.” Smulyan notes more than 1,500 stations signed up for TagStation’s free services; thousands more are expected following today’s news. Beasley, CBS Radio, Entercom, Greater Media, and Hubbard registered for additional services through TagStation. “Passionate, insightful vision of industry leaders like Jeff Smulyan helped to make this prospect a reality,” comments New Jersey Broadcasters Association president/chief executive officer Paul Rotella. “We will continue to support initiatives that promote the precious value of radio.” Also endorsing the concept of FM receivers in smartphones are The Radio Advertising Bureau and National Association of Broadcasters. Is The Arbitron-Nielsen Transaction Hitting A Snag? The Federal Trade Commission reportedly wants more information before it decides whether to approve the $1.26 billion deal, whereby Nielsen would acquire Arbitron. It was believed the okay was further along in the process, however, The New York Post reports that the FTC is calling for additional particulars from television station owners affected by a potential Nielsen-Arbitron merger. Roughly two weeks ago, Nielsen officials felt that by the end of this month, they would have a good grasp of where the situation stood, but former New York assistant attorney general-antitrust lawyer Sally Hubbard tells The Post that, if the FTC is, “still currently talking to sources, it does make you wonder.” It was last December when Nielsen revealed it had signed a definitive agreement to acquire Arbitron for $48-per-share, however, the FTC several months later stymied the proposed union of the two ratings behemoths. On a call with investors, Nielsen chief executive officer David Calhoun said the company had complied with the FTC’s latest concern and he flatly states, “It is on them to come back to us.” Calhoun is optimistic this deal will be approved, in that, he says the companies operate in different media sectors. Once companies comply with such FTC requests, the commission has 30 days to complete its review and take action. 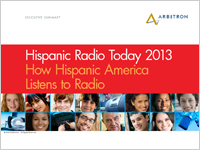 Arbitron Releases “Hispanic Radio Today 2013.” Approximately 95% of Hispanic consumers in the United States tune to the radio in an average week and Arbitron summarizes those listening habits throughout a comprehensive 84-page overview. Numerous colorful charts, graphs, and tables are featured, with a ranking of formats by Hispanic audience share especially interesting. Stats are based on Hispanic audience share, Monday-Sunday, 6:00 am – midnight, AQH Hispanic Persons 12+, from spring 2012. As one might expect regional Mexican is a dominant #1 (19.2%) followed by Spanish Contemporary (10.7%). Three English-language music formats are next: CHR (9.8%), rhythmic CHR (7.7%); and adult contemporary (6.1%). Spanish adult hits is #6 (5.9%), but then come hot AC (4.0%); country (3.5%); classic hits (3.5%); and news-talk (3.3%) rounds out the top ten. The remaining seven formats in this particular breakout are: Spanish tropical (3.1%); classic rock (2.2%); Spanish news-talk (1.9%); Spanish variety (1.0%); Spanish religious (.9%); Tejano (.9%); and Spanish sports (.3%). In addition to Arbitron audience data for each format, “Hispanic Radio Today 2013” features Scarborough consumer profiles. The full study is available exclusively to Arbitron clients. Buckley Brings in Ray as California Marketing Manager. It is a new position for Buckley Radio‘s California-based properties. Working from Fresno at the company’s rhythmic CHR KSEQ “Q 97,” Liz Ray will help oversee sales and marketing for sibling stations in Monterey, Bakersfield, and Merced. Buckley Radio president Joe Bilotta comments, “We are looking to partner with the advertising community in a joint effort to insure a respectable return-on-investment when they work with us. 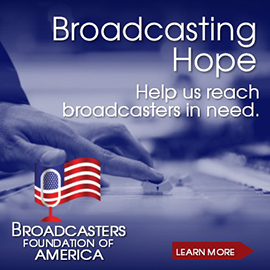 Liz will greatly assist and direct these efforts.” Executive vice president – west coast Kathy Baker remarks, “Liz Ray has an extensive 27-year sales, sales management background in the broadcasting industry and she has an outstanding reputation. We are thrilled to have her on-board.” Most recently, Ray was general sales manager of Fresno adult contemporary KJWL and that market’s KYNO-AM, when it was talk. She previously was local sales manager for the Fresno Bee. Clear Channel Moves Malik From San Antonio To Houston as VP/Sales. Transitioning from her role as president of the company’s cluster of stations in its San Antonio home base, Breeanna Malik becomes vice president of sales for the six stations that comprise Clear Channel, Houston. Clear Channel senior vice president of operations Kelly Kibler Owens observes, “Houston is a thriving market. Breeanna brings unique strategic insight, while also keeping many of her client relationships intact within Texas.” Clear Channel, Houston president/market manager Eddie Martiny notes, “Breeanna’s performance in San Antonio has been absolutely outstanding and we are excited to have her lead our sales efforts in Houston.” Malik comments that her “true passion is leading sales organizations” and “building new client partnerships through Clear Channel’s integrated multi-platform programs.” Prior to becoming Clear Channel, San Antonio market president last October, Malik was director of sales and general sales manager there. Rotoworld Becomes NBC Sports Radio’s Fantasy Sports Information Brand. Fantasy sports participation has grown more than 60% in the past four years. Estimates are that more than 35 million people in the United States and Canada actively engage in some form of this activity. The Rotoword-NBC Sports Radio union brings player updates and information, live interviews, and on-demand programming to rabid fantasy sports fans. On-demand specialty shows will be hosted by NBC Sports Radio (a joint venture between NBC Sports Group and Dial Global) anchor/Rotoworld contributor Kay Adams, who appears weekly on NBC Sports Network’s “Fantasy Football Live – Thursday Night.” In addition to being Dial Global’s executive vice president/general manager sports programming, Chris Corcoran is a fantasy fan/player and he comments, “Rotoworld has always been my go-to fantasy source for news and information – I couldn’t be more excited to welcome this partnership. Our exclusive programming will help feed this extremely loyal fantasy fan base.” NBC Sports Digital/Rotoworld director of fantasy content Brett Vandermark remarks, “This is a natural extension for Rotoworld, as sports radio has long been a popular platform for fantasy sports players. This agreement allows fantasy players to access Rotoworld on virtually every platform.” Dial Global chief executive officer Paul Caine adds, “This [Rotoworld] partnership elevates our digital presence to a whole new level.” Programming begins the week after next (8/26). It will include interviews on NBC Sports Radio throughout the NFL season with Rotoworld writers and talent. Two 60-minute NFL-related fantasy shows per week (Tuesdays and Fridays) will be available on the NBC Sports Radio on-demand network. South Carolina Broadcasters Association Bestows Show of the Year STAR Award to “Meet Me at the Diner.” Hosted by WCRS-AM, Greenwood, South Carolina owner Anne Eller, the daily 4:00 pm – 5:00 pm program features interviews with personalities having local, statewide, or national interest. Victors were announced at a combination dinner/presentation ceremony this past Saturday (8/10) at Columbia’s Metropolitan Convention Center. 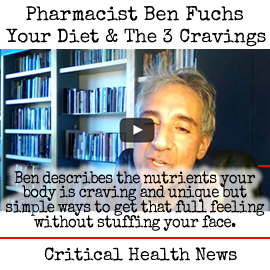 This was WCRS’ first-ever entry; no first timer had won the category before. In addition to owning WCRS-AM and doing the daily “Meet Me at the Diner” program, Eller is a regular South Carolina Radio News contributor. Talkers Los Angeles 2013 Nearing Sellout – More Speakers Named to Agenda. The third annual installment of TALKERS magazine’s West Coast convention set for Thursday, October 10 is shaping up to be a blockbuster. The gathering is already closing in on being an advance sellout some seven weeks before the event so it is advisable for media professionals interested in attending to register now. It is again being presented in association with the Los Angeles Press Club and held at the historic Steve Allen Theater on Hollywood Boulevard in Hollywood between 9:00 am and 6:00 pm. TALKERS VP/executive editor Kevin Casey states, “We are very enthusiastic about the growth and positive impact of this Southern California gathering. It started out three years ago as an experimental LA regional get-together and blossomed into an exciting companion to our big New York convention.” The event – open only to members of the working media – will feature a power-packed day of panel discussions, keynote addresses, special presentations, technology and services exhibits, tremendous networking opportunities and abundant food and refreshments lavishly catered by the Original Brooklyn Water Bagel Company (lunch is sponsored by Premiere Networks and Fox News Channel star Sean Hannity who will address the attendees from New York). Speakers already set now include (in alphabetical order): David Bernstein, GM, TalkersRadio; Robin Bertolucci, PD, KFI, Los Angeles; Phil Boyce, VP spoken word format, Salem Communications; Kevin Casey, VP/executive editor, TALKERS; Bill Carroll, host, KFI, Los Angeles; Heather Cohen, EVP, The Weiss Agency; Holland Cooke, radio consultant; Skip Essick, PD, KMJ-AM/FM, Fresno; Erica Farber,CEO/president, RAB; Michael Harrison, publisher, TALKERS; Ron Hartenbaum, president, WYD/WYM Media; Phil Hendrie, WYD Media; Rusty Humphries, host, Talk Radio Network; Frank Kramer, morning co-host (Heidi & Frank), KLOS, Los Angeles/founder of Toad Hop Network; Mike Kinosian, managing editor, TALKERS; Kraig Kitchin, CEO, Sound Mind, LLC; Tom Leykis, president, The New Normal; Andy Ludlum, director of news programming, KNX/KFWB, Los Angeles; Leslie Marshall, WYM Management; Don Martin, senior VP sports programming, Fox Sports Radio/Clear Channel Media and Entertainment; Kevin McCullough, CEO, XtreMedia; Mike McVay, senior VP programming, Cumulus Media; Harvey Nagler, VP, CBS Radio News; Norm Pattiz, CEO, Courtside Entertainment/Podcast One; Chris Pendl, creative director, Bonneville Seattle; Walter Sabo, CEO, Sabo Media; Eric Stanger, VP of operations and affiliate marketing, The Sean Hannity Show/Premiere Networks; Alan Stock, host, KDWN, Las Vegas; Chuck Tyler, PD, KRLA/KKLA, Los Angeles; Paul Vandenburgh, president/GM/host, WGDJ, Albany; Bill White, PD, KQTH-FM/KFFN-AM/FM, Tucson and Michael Zwerling, owner, KSCO, Santa Cruz with many more and complete agenda details to be announced in the coming days. 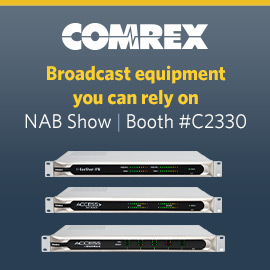 The latest broadcasting equipment and remote gear will be on display as presented by Broadcasters General Store and Comrex Corporation. Registrations – $149 per person – can only be taken over the phone and, AGAIN the event is approaching a very early sellout which is projected to happen within about a week. So don’t wait – avoid being shut out. For sponsorship information or to register, call 413-565-5413. AFFILIATE ROUNDUP. Free Talk Live Adds WCKG, Chicago to Affiliate Roster. Free Talk Live (FTL) is now heard live every weeknight on Chicago’s WCKG-AM. FTL co-hosts Ian Freeman and Mark Edge tell TALKERS, “It’s a major addition to our affiliate lineup and it’s great to be on live in such a big market. Thanks to station manager Matt Dubiel for making it happen. We’re excited!” That along with several other new stations brings the maverick show out of New Hampshire that has become a staple of the TALKERS Heavy Hundred up to a total of 125. New ones include: WBAT-AM, Marion, IN; KENT-AM, Parowan, UT; WRSB-AM, Canandaigua, NY; WASB-AM, Bridgeport, NY, W286AE-FM, Fairport, NY, and WNZS-AM, Bangor, ME. Also, existing affiliate WAVH-FM, Mobile, AL has expanded FTL to weeknight overnights and existing affiliate WGAN-AM, Portland, ME has added a simulcast on WMGX-HD2.